Posted October 23, 2018 by Patrick Sproull & filed under Headlines, News. Anya Taylor-Joy (Split, Thoroughbreds, The Miniaturist) was previously announced as boarding the cast but joining her will be Sam Claflin (Adrift, Me Before You), Brian Gleeson (Phantom Thread). Also cast in series 5 are – deep breath – Neil Maskell (Happy New Year, In Darkness), Kate Dickie (The Cry, The Witch), Cosmo Jarvis (Calm With Horses, Lady Macbeth), Emmett J Scanlan (Butterfly, Safe), Elliot Cowan (The Spanish Princess), Charlene McKenna (Ripper Street), Andrew Koji (Warrior) and Daryl McCormack (A Very English Scandal). We’ll keep you updated on Peaky Blinders series 5. Returning to the series 4 cast are – deep breath – Helen McCrory, Paul Anderson, Finn Cole, Kate Phillips, Natasha O’Keefe, Aidan Gillen, Jack Rowan, Charlie Murphy, Kingsley Ben-Adir, Harry Kirton, Packy Lee, Ned Dennehy, Ian Peck, and Benjamin Zephaniah. As always it’ll be written by creator Steven Knight and directed by Ripper Street‘s Anthony Byrne. Executive producers include Caryn Mandabach, Knight, Jamie Glazebrook, David Mason, Patrick Spence, Cillian Murphy and Tommy Bulfin. 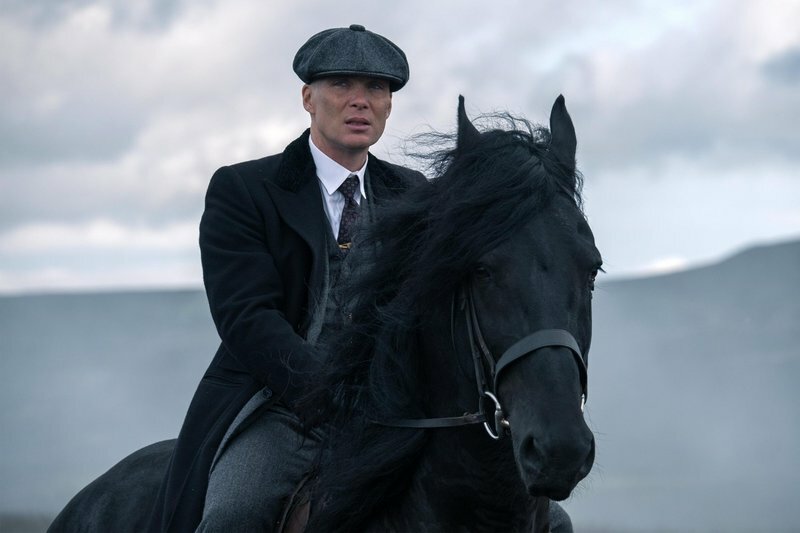 Peaky Blinders will air on BBC One next year.